[ANNOUNCEMENT] J. H. Language Solutions Becomes Jaguar Media Solutions, Inc.
J. H. Language Solutions officially becomes corporation, and now operates under the name, Jaguar Media Solutions, Inc.
Boston, Massachusetts. On February 1st, 2016, Julie Anne Gniadek became a certified business and marketing consultant, and registered her new business, Julie Anne Gniadek Consulting with the state of Massachusetts. About Julie. Julie is the Director of Production, Content, and Graphics for Real Legal Marketing, a digital marketing company for law firms. She oversees the production, design, marketing, and content for all clients, and manages both production and content teams. Julie also owns and operates her own business, J. H. Language Solutions, which specializes in web content management and marketing. Julie has a Bachelor’s in Spanish, with a minor in Business Management from Anna Maria College in Paxton, Massachusetts. She also earned a Master’s in Project Management and her PMP certification from Bryant University in North Smithfield, Rhode Island in June 2015. Julie also serves as a member of the Communications Committee on the Book Builders of Boston board, writing and publishing blogs for the Book Builders website, attending and hosting community events, and speaking to Boston college students about the importance of networking. Julie is also a core member of the Women in Charge networking group, which serves the Framingham and Natick communities. About J. H. Language Solutions. Julie owns and operates a registered and insured sole proprietorship, J. H. Language Solutions, which launched in 2011. JHLS specializes in project management, web content management, and marketing services and solutions. Julie still oversees and manages all facets of the business today. Julie believes that J. H. Language Solutions’ value proposition lies within the ability, flexibility, and passion to serve a diverse client base, and apply various creative methods to reach clients' goals every day. About Julie Anne Gniadek Consulting. 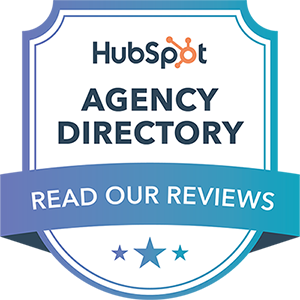 After completing six months of training and completing her practicum, Julie became fully certified with HubSpot, one of the biggest marketing agencies in the world in January 2016. This certification coupled with her PMP certification enables her to become a registered consultant with the state of Massachusetts. Becoming a consultant will allow Julie to work more closely with her clients, providing them with customized solutions to improve general business management operations and marketing strategies that are aligned with her clients’ goals.